In a report confirming rumors Apple will remove the headphone jack in the iPhone 7 to improve the device's water resistance, KGI Securities analyst Ming-Chi Kuo today shared his predictions on how Apple will capitalize on the Bluetooth headphone market in the coming months. First and foremost, as has been rumored, Kuo suggests Apple is working on its own Bluetooth-like communication chip and its own Bluetooth headphones. Previous information suggests the Bluetooth chip will improve battery performance for longer battery life. 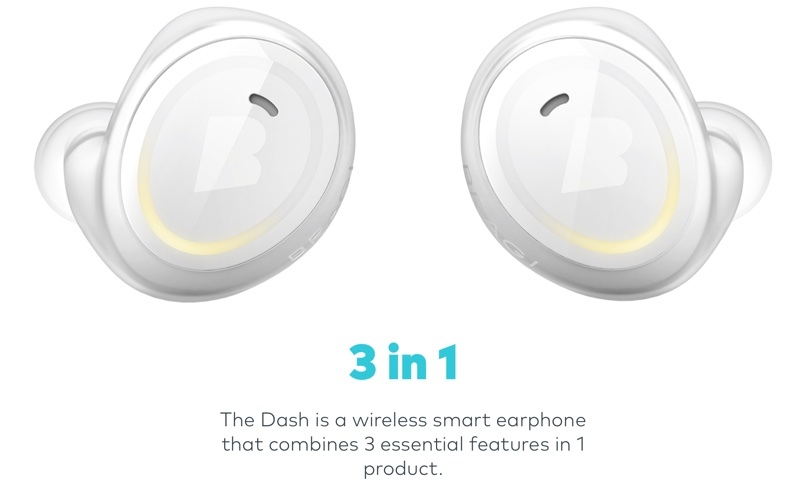 The chip may be included in the wireless earbuds Apple has in development, which are said to be Bragi Dash-style wireless Bluetooth earbuds that are entirely wire free. The earbuds will be called "AirPods," based on trademark filings that have been discovered, and the product could be unveiled as early as September 7 alongside the iPhone 7. According to Kuo, Apple will sell its Apple-branded Bluetooth headphones alongside its Beats line of headphones, targeting the high-end market with the "AirPods" and the mid-range market with the Beats headphones. It is not clear if that means the AirPods will be priced higher than Beats headphones are at the current time or if Apple plans to lower prices on Beats going forward. We believe Apple will position Beats in the midrange market once it launches Apple's own-brand Bluetooth headphones, in order to maximize profit with a dual-brand strategy. We also believe Apple will have its own-designed Bluetooth-like communication chip, given its higher requirements for power-saving, communication specs and potential rapid growth of Bluetooth headphone shipments. Cheng-Uei and Inventec are the likely choices for assembly service. While Apple will sell multiple models of Bluetooth headphones and expects strong growth potential in the market, Kuo does not believe the company will package Bluetooth headphones with the iPhone 7. Instead, Apple is likely to ship the iPhone 7 with Lightning-based EarPods that feature a Lightning connector instead of a 3.5mm headphone jack. Apple's Bluetooth headphone plans will become clearer starting tomorrow, following the debut of the iPhone 7. At its September 7 event, Apple will show off the iPhone 7 and the iPhone 7 Plus, the Apple Watch 2, and new Beats headphones. As previously mentioned, it's possible we'll see the AirPods, but given a lack of rumors, the device may not be ready for launch. Great, another splintering.. can't use the regular bluetooth chip that everyone else uses to make it universal.. No no.. we have to have our own nonsense again. This is getting old quickly. If they think they can do better, they should. Forget about that, how about a no-interference chip and battery life that isn't ****? .........how about waiting until it is available and read some reviews before commenting negatively? Pardon my confusion, but if one falls out, wouldn't you just know? Lightning is working out great for me. Much rather have Lightning than Micro USB. No need for USB-C here. Just checking... you're saying nothing can be better than current Bluetooth? Bluetooth is THAT good? I HATE wires and use Bluetooth daily, but wow, it IS pretty terrible. P.S. USB-C is nice (not as rugged as Lightning) but it's new; it didn't EXIST when Lightning came out. If you think people complained when Apple dropped the 30-pin connector after a decade, ask yourself how they'd react to dropping Lightning, which is really good, after less time! And to suggest iPhones should use pre-C USB is pure trolling. Those connectors are awful and lack Lightning's adaptability/capability. Lightning, quite obviously, is working out great. Getting worried about the costs of all these iPhone 7 options. This could be the big feature they announce after removing the headphone hack - an Apple custom Bluetoith chip. Hopefully they eliminate current Bluetooth issues like lag or connectivity.